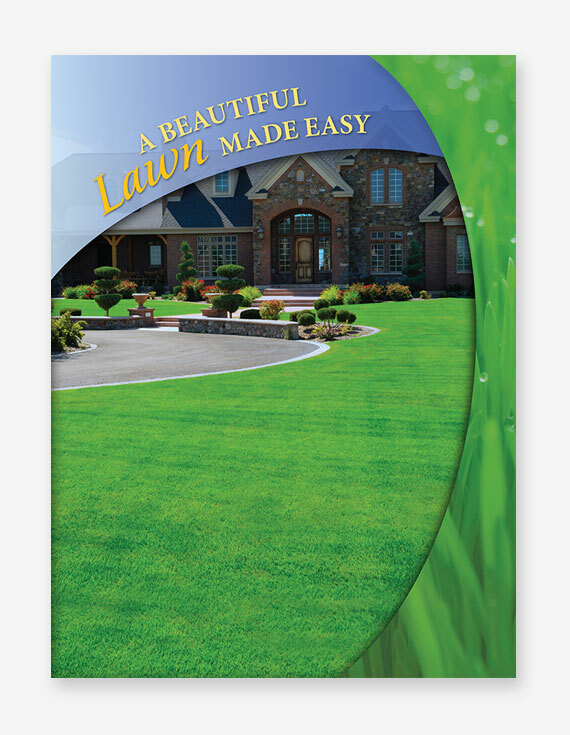 Show prospects that it’s easy to have a beautiful lawn with your professional lawn care services. 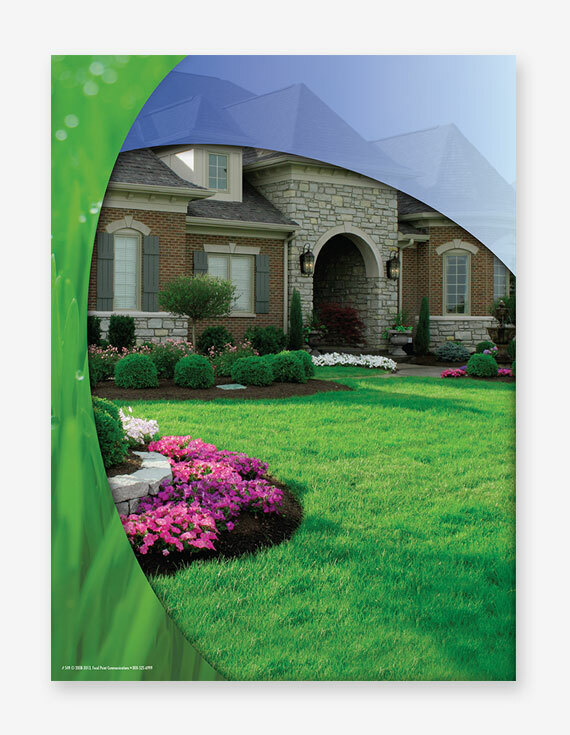 This pre-printed stock folder will add pizzazz to any lawn care presentation, featuring a gorgeous lawn on the front cover that would be the envy of any neighborhood. 100# gloss cover weight stock. Can be ordered in multiples of 50. 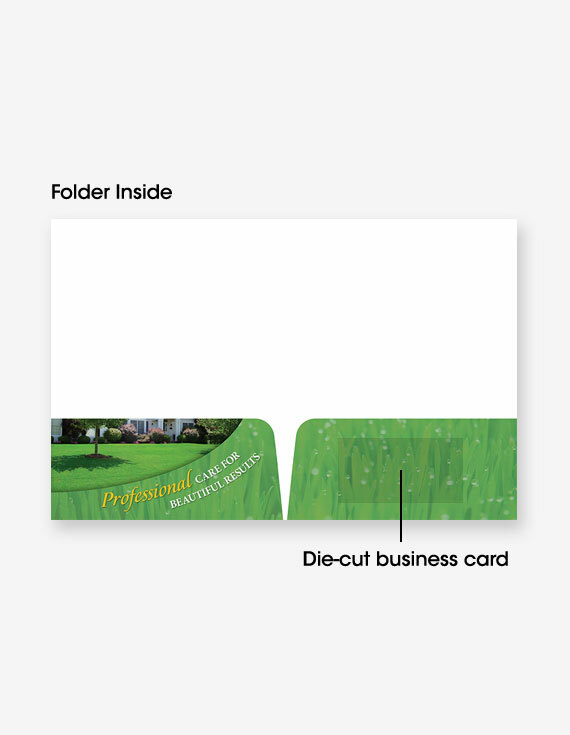 Each stock folder has two inside 4” glued pockets and is die-cut to hold business cards. Folders are shipped within 24 hours of your order. We will ship your stock folders within one business day of receiving your order.